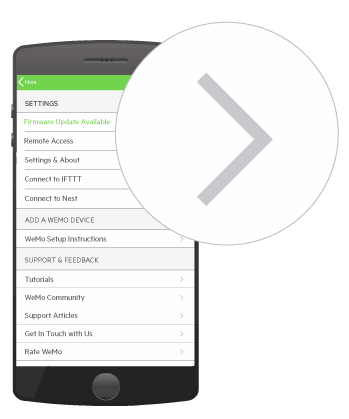 Setting up the Wemo App on your smartphone or tablet is simple. 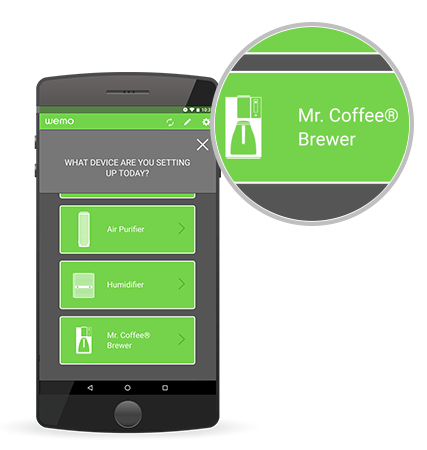 The app allows you to be connected with your Mr. Coffee® 10-Cup Smart Optimal Brew™ Coffeemaker with Wemo®, F7C050 even when you are not at home. To know how to set up the Wemo Coffeemaker, follow the steps below. Take note of the following requirements before proceeding with the troubleshooting below. QUICK TIP: If you do not know the settings of your Wi-Fi, you can find the Wi-Fi name and password by checking the router settings on the web-based setup page. If you have a Belkin router, click here to learn how. 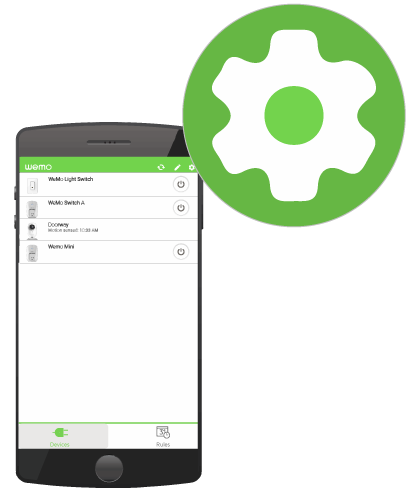 Step 1: Download the latest Wemo App from the App Store® for iOS devices or Google Play™ store for Android™ devices. 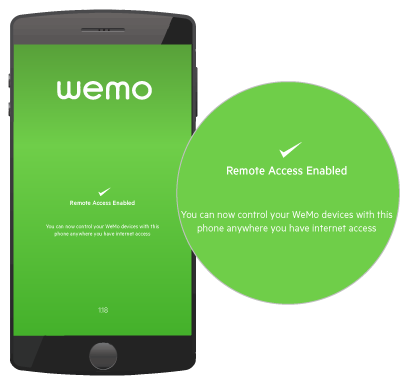 The Wemo App is designed for smartphones and tablets that have iOS 9.0 or higher, or Android 4.4 and above. NOTE: The Wemo App may vary depending on the device (iOS or Android) used. For best results, we recommend that users purchase Wemo devices new and from authorized retailers as well as to keep the Wemo App and device firmware up-to-date. 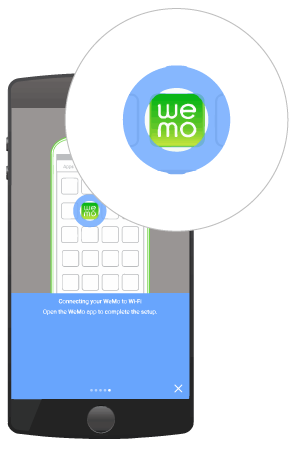 Step 2: Launch the Wemo App. NOTE: If you are using an iOS device, go to More. 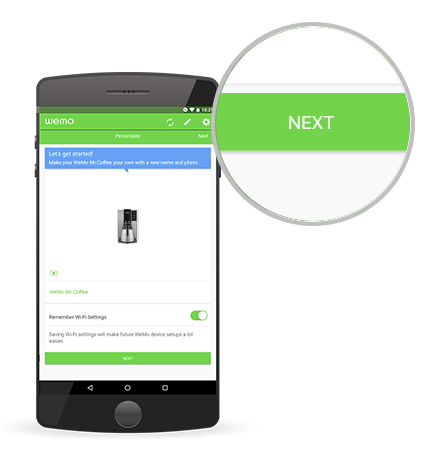 Step 4: Tap the arrow on Wemo Setup Instructions. Step 5: Tap Mr. Coffee® Brewer. 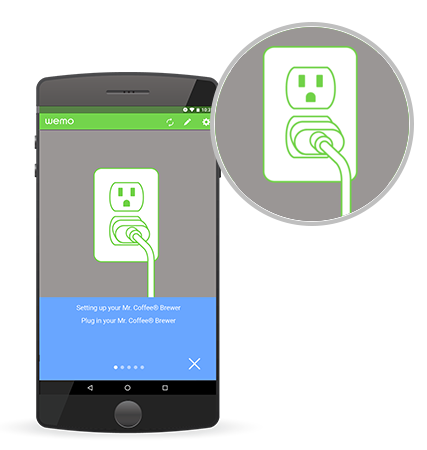 Step 6: Plug in your Wemo Coffeemaker into an electrical outlet, and power it ON. Step 7: Open Settings on your mobile device. Step 9: Connect to the Wemo Coffeemaker's Wi-Fi name. This will be in the form of WeMo.CoffeeMaker.0##, where 0## is the last three digits of the device’s serial number. 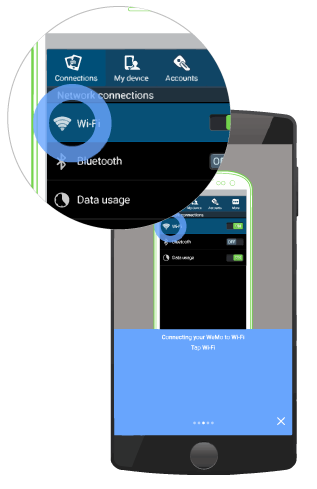 Step 10: Once the mobile device is successfully connected to the temporary Wi-Fi name, launch the Wemo App. Step 11: On the Let's get started! screen, tap Next. Step 12: Wait while the Wemo App connects to your Wi-Fi. The Remote Access Enabled message will then pop up. By default, this feature is enabled. 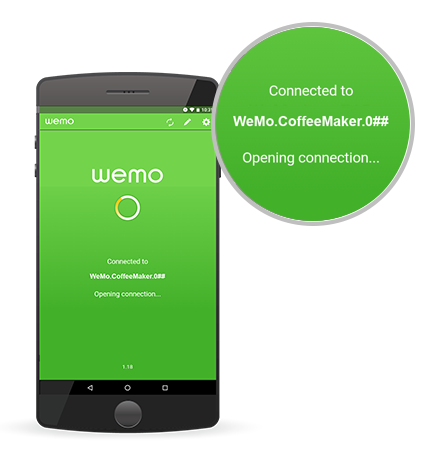 Step 13: When the Wemo Coffeemaker setup is complete, the Wemo App will look for devices. If you have multiple Wemo devices, the Wemo App will display all these. You should see the Wemo Coffeemaker on the list.